The Pitamakan/Dawson hike is a long one, but the beautiful views that await you are worth all the effort. The hike bounces between forests and avalanche chutes as it goes over a ridge of Rising Wolf Mountain. 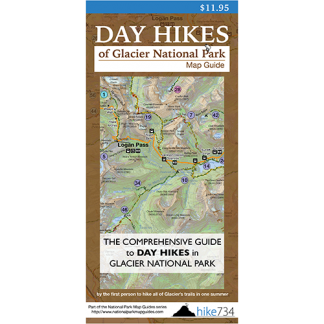 You will pass a beautiful waterfall coming from Sky Lake as you drop into the Dry Fork drainage and begin working your way up to Oldman Lake. 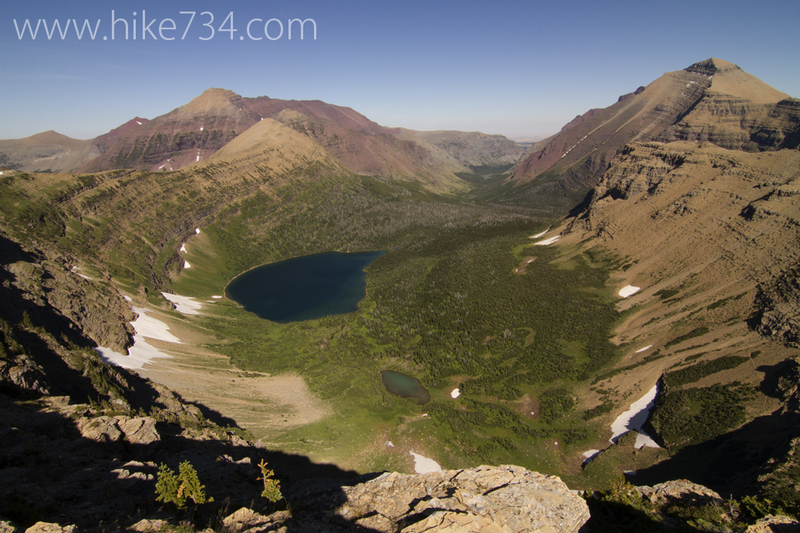 The grade is steady and the views keep getting better until you are a mile out from Oldman Lake. Here you will be faced with some treed areas and the trail will get a bit steeper as well. Take the trail down to Oldman Lake and stop for a break. Continuing back up the trail, you will encounter switchbacks and gain almost 1,000 feet on the way to Pitamakan Pass. From here, gorgeous alpine lakes in the Cut Bank drainage sit below you. For the next “top of the world” three miles, views into the Coal/Nyack area and peaks as far as the eye can see overwhelm your gaze as you traverse across the goat trail with a quick view back down onto Oldman Lake between the saddle of Mt. Morgan and Flinsch Peak. The trail wraps around the latter and down to Dawson Pass. Keep an eye out for bighorn sheep as you enter Bighorn Basin. Eventually the trail heads back into the trees, but be sure to look up just before the trail drops all the way to the valley floor. One of the ridge lines has morphed into a huge spire called Pumpelly Pillar. If the last tour boat hasn’t departed, you can take the almost one mile spur trail located at the trail junction to the boat dock, otherwise, continue on for a little over three miles along the shores of Two Medicine Lake as it brings you back to your car. Trailhead: Starting at the campground at Two Medicine by Pray Lake, cross the bridge for the Oldman Lake Trail and take a right towards Pitamakan Pass. The route can be done in either direction, but the described counter-clockwise direction is the preferred way.